Tue., Nov. 7, 2017, 7:01 p.m.
ALBANY, N.Y. – Democrat Bill de Blasio (dih BLAH’-zee-oh) has cruised to a second term as mayor of New York City. De Blasio easily defeated Republican state lawmaker Nicole Malliotakis and several third-party candidates on Tuesday. 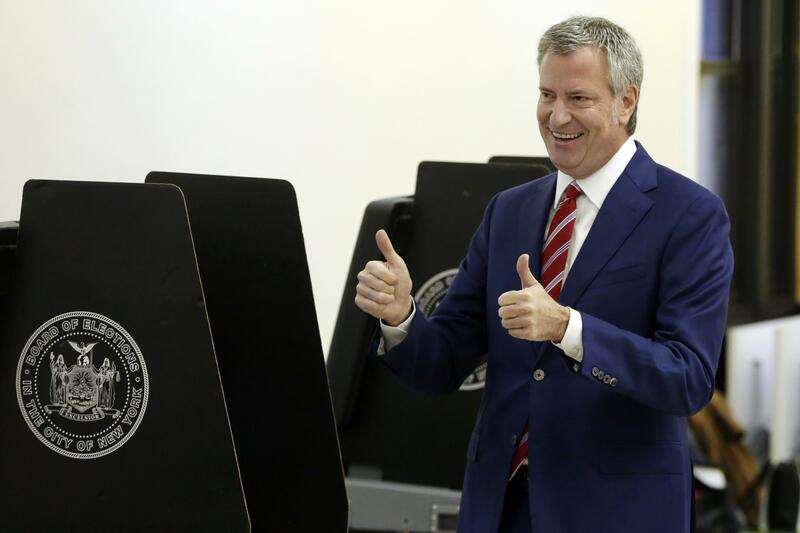 The Associated Press called the election for de Blasio shortly after polls closed in the city, which leans heavily Democratic. On the campaign trail the mayor touted his success enacting universal pre-K and cited efforts to expand affordable housing and keep the city affordable for all income levels. He said if given a second term he would pursue further investments in education and housing and stand up to the policies of President Donald Trump. The 56-year-old mayor’s first term was dogged by feuds with Democratic Gov. Andrew Cuomo and investigations into campaign donations and pay-to-play politics. Published: Nov. 7, 2017, 7:01 p.m.